Terry Gifford Review of Echoes. | Great Escape. Nick Bullock. ← The Forming of Ice. Terry Gifford Review of Echoes. 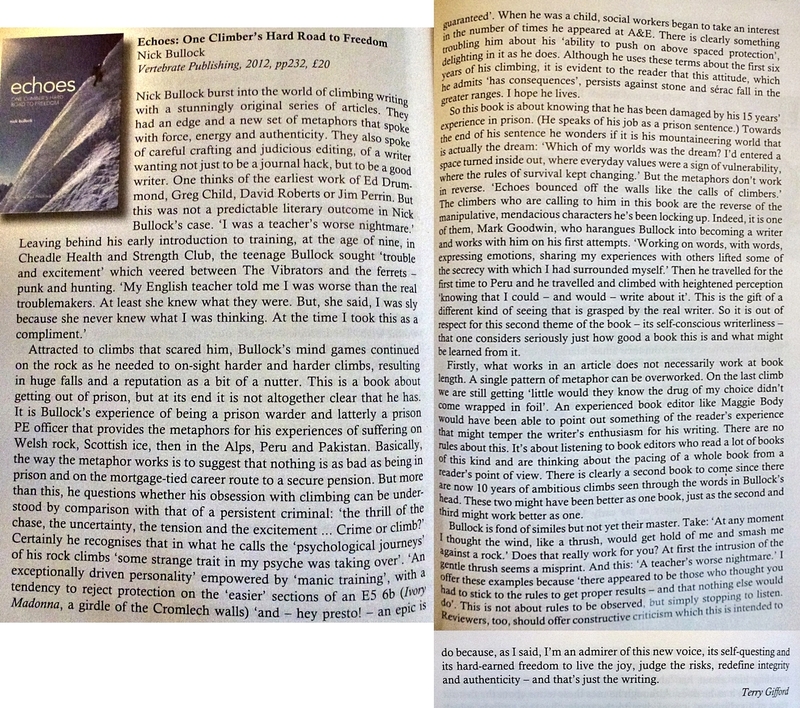 On the eve of travelling to Scotland, where hopefully, in this winter of discontent I will climb something other than the walls of the CC hut in Roy Bridge, I thought I would post this review of Echoes. I first read the review before flying to Canada and my initial impression and feeling which was one of enlightenment is intact. Virtually all reviews of Echoes have been favourable but this one, more than most is important given the credentials of the reviewer Terry Gifford.